Size: 1 ½'' x 15 yds. Made of 50/50 cotton blend. 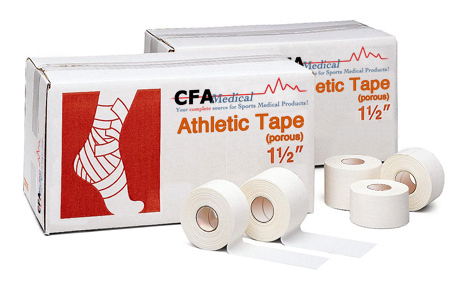 White zinc oxide Trainers Tape features high tensile strength with excellent tackiness and conformability. Easy handling, easy unwind to the core.